Just before the sunrise, all the hot air balloons are coming up and flying all over the Bagan City's Sky. It is the amazing view with foggy ground under the skyline and balloons are flooding in the air with morning sunlight. 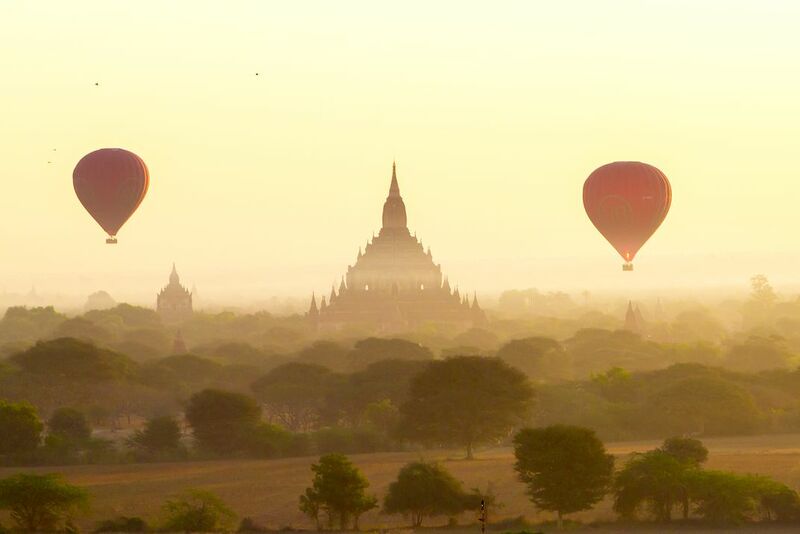 I could say that a perfect time of the the golden hour is completely with hot air balloons and foggy morning of the ancient spectacular city call Bagan, Myanmar. Date Uploaded: Oct. 30, 2017, 3:15 p.m.